Hanky Panky Rosalyn Signature Lace Chemise. This ivory chemise features scalloped lace trim, ruffle at the empire waist, lettuce edge at the neckline and a dainty blue bow. It hits at mid-thigh. 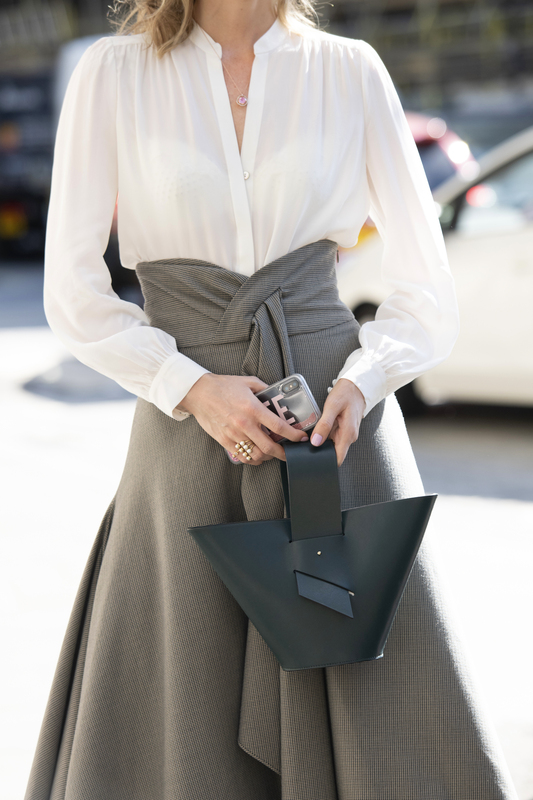 The struggle of perfectly pairing pieces together in the morning is finally over! If you're like me and tend to procrastinate putting together your look for the day until 10 minutes before you're running out the door, come closer; this advice is for you. Take the guesswork out of getting ready and wear a trendy two-piece set instead. No need to worry about matching colors or testing out if the top and bottom look good together, these pieces were made for each other, and for you! Scroll down to take a look at the two-piece sets I've personally pulled for you—and myself. They range from polished to party-ready, and they can even be worn separately for double the wear. Summer is so close we can practically smell the sunscreen. We're already snatching up swimsuits for swimming at the pool and boating on the lake, and beach bags for carrying our beach day necessities. And that got us thinking about the rest of our waterside ensemble to pull the whole look together: a beach cover-up! Crochet, kimono, wide-leg pants, or wrapped sarongs, we gathered up 12 beach cover-ups in an array of styles that will look amazing on and off the shore. Scroll down for the winning pieces we pulled and how to wear them with or without a swimsuit! Love them or hate them, the tiny sunglasses trend that swept the fashion nation back in 2018 is officially on the outs. In their departure emerges a vast number of bigger and bolder frames that are taking 2019 by storm. It might not be warm enough to bust out your summer jumpsuits and beach bags quite yet, but fortunately sunglasses are appropriate year round. Start thinking of the potential outfits that will inevitably lead to Insta-feed fashion fame, as you take a look at our thoroughly researched finds. Scroll down for our assembly of the 12 top sunglasses trends of 2019 — or what I like to call "the big, the bold, and the blinged out." With summer slowly creeping in, we want to help give you a head start on some of the season's hottest trends. We've already broken down the biggest nail colors of the season, now it's time to spotlight our latest wardrobe obsession: off-the-shoulder tops. Straight off the Spring/Summer 2019 runways, this chic silhouette took center stage at fashion shows such as Celine and Self-Portrait. The trend is also dominating street style with a slew of influencers sporting the shoulder-baring look that showcases their sun-kissed glow. While we've seen the feminine drama puffed off-the-shoulder tops can add to your summer wardrobe, quite the opposite, smocked pieces comfortably hug the body for a youthful appeal that matches your cool girl style. Get ready break out those bare shoulders this upcoming season. From elegant pieces for all your outdoor events to a nostalgic top from the early 2000s, stay on trend with these 10 off-the-shoulder tops are the perfect upgrade to your summer wardrobe. Our favorite beauty entrepreneur just dropped a line of supplements aimed to make you feel beautiful inside and out. To avoid being publicly exposed, we addressed the right underthings you need, from pretty camisoles to lacy chemises, when you wear sheer. 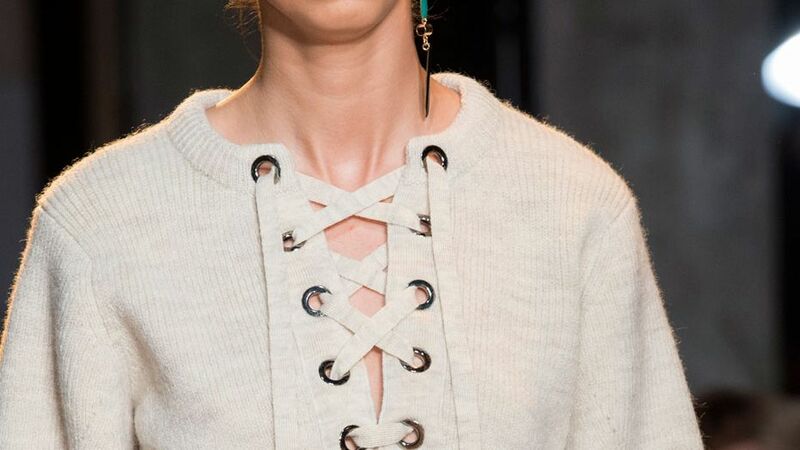 For fall, designers like Isabel Marant reinvented the beloved lace-up top with warmer fabrics like chunky cable knits and wool blends. Snuggle up this holiday season in these fun and fashionable holiday lingerie sets. We found the five underpinnings you need to pack wherever you travel. You will definitely make heads turn with these hot new handbags, from beach-ready totes to travel-friendly crossbody bags. Dark yet delicate. This alluring chemise by Hanky Panky is crafted in dainty lace in the deepest tone. Choose this barely there chemise from Hanky Panky's Julia collection for a look that's more than enticing.